given to thick silver coins in the middle ages. number 4 in the centre. 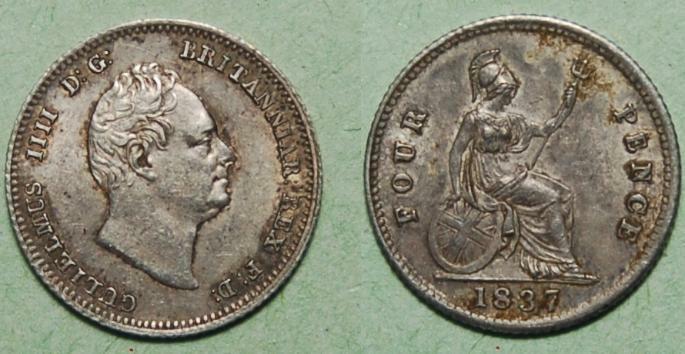 1836-1837 Silver, 1.9 grams, 16mm Diameter.